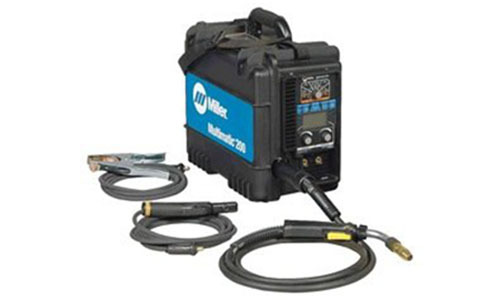 The Miller Multimatic 200 MIG TIG STICK Combo Welder is the most versatile portable MIG machines available. 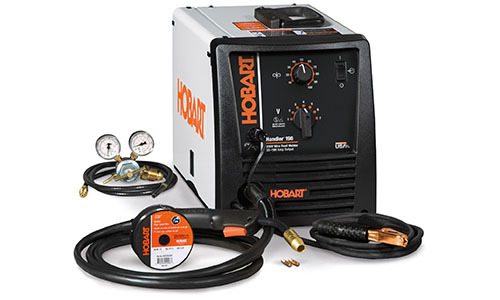 The Hobart Handler 190 Spoolrunner is a high-end portable MIG welder that comes complete with a 150 AMP Spool Gun. 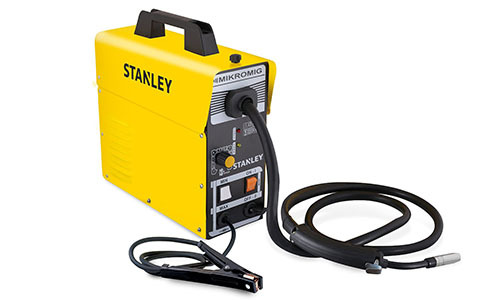 The Stanley MIKROMIG Portable Welder is a compact little machine that has the well-known Stanley name behind it. Welcome to our portable MIG Welders Review Website. As a self-taught welder I had to learn about welding the hard way. Read my life story on my About Me page. Hopefully the info you find on my website will help you avoid some of the mistakes that I made along the way. Through trial and error and a ton of research I have found the best welder for my home garage. I put together this website to share my thoughts on various portable MIG welder manufacturers and the features they offer. While I don’t consider myself an expert welder by any stretch of the imagination. I have learned a thing or two about the technical aspects of welding along the way. So if you are just starting out some of this may be useful. Check out my article on MIG Welding Settings for novice welders. While I have my favorites, you may already have a favorite brand of portable MIG welders of your own. If this is the case I have made it easy for you. You can shop by brand names here: Campbell Hausfeld, Eastwood, Forney, Hobart, Lincoln Electric, LOTOS, Miller, & Stanley. First time welders need some quick tips on MIG Welding Safety so avoid serious injury. Be sure to check out our quick article on how to safely operate your new welder. The UV Rays from welding can cause severe damage to your eyes. You will need a few accessories to go along with your new welder including Gloves, Welding Clamps, and an Auto Darkening Hood. Check out my mini reviews for welding tools & accessories. 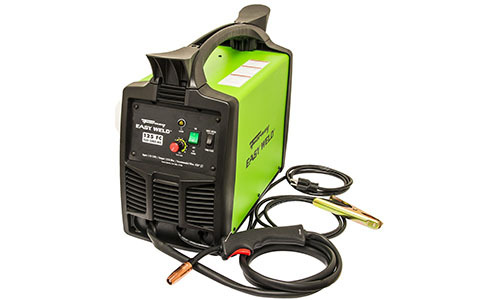 When it comes to purchasing portable MIG welders there are many things to consider. There are numerous options available to pick and choose from for each and every brand. With various voltage and amperage ratings, there is also a wide range in welding capability from model to model. So based on your specific needs, I have some recommendations for just about every welding application. Check out my top picks below. 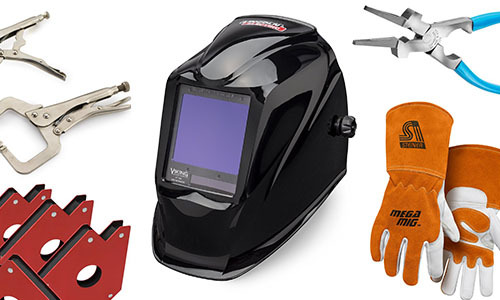 With so many portable MIG Welders to choose from; how can you select a winner? For me I was looking for a combination, of capability, versatility, quality & a reasonable price tag. 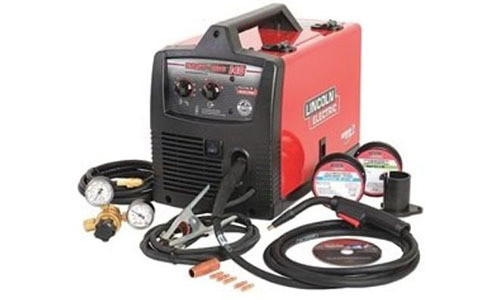 The Lincoln Electric Power MIG has all of these bases covered and more. It is the only machine that I found that you can plug into both 120 Volt and 230 Volt power supplies. To top it off you can perform MIG, STICK, TIG, and Flux-Core welding, all with this one machine. Cap that off with an affordable price tag, and it’s easily my number one choice. Most of the Portable MIG Welder’s we researched were light duty and suited more for light gauge metalwork. 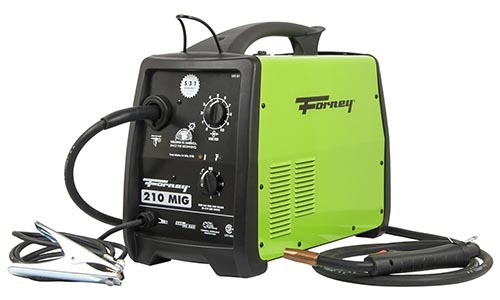 If you’re looking for a workhorse that can weld up to 3/8” thick mild steel plate, then you need to consider the Forney 230 Volt MIG Welder Model 311. This machine is very robust for a portable machine. It also has an extra-long 10 FT Gun Torch for easy access to your work. Combine that with a 16-foot power cord for those hard-to-reach projects. The Miller Multimatic 200 MIG TIG STICK Combo Welder is the most versatile machine out of all the Portable MIG Welders I looked at. 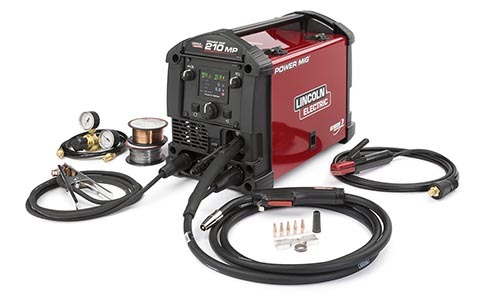 It’s not the cheapest machine, in fact I think it is the most expensive portable welder that I reviewed. But if you need the flexibility to perform TIG Welding, MIG Welding, and the occasional STICK welding, then the Miller Multimatic 200 could be the best choice for you. BIG BUCKS, but it’s worth every penny!